That said, though, we are probably about to enter a generation in which there will be greater distrust of market mechanisms. What distinguishes the early 21st century from the early 20th is the almost total evaporation of Marxist eschatology, indeed of any sense of historical development. The purpose of social policy is no longer paradise. The purpose can become the prudential care for all, a concept which includes public safety and public health as well as economics. Oswald Spengler's term for this was "Ethical Socialism." What made Marxism so potent was its millenarianism, the fervor of the convert and the true believer in Marx's reading of history. These kids who are fashionably espousing Communism are more like prosperity gospel Christians. A popular and enduring movement that has had a real effect on people's lives, but at least an order of magnitude less powerful than the First or Second Great Awakening. It is probably a good thing for everyone that the eschatological element of Marxism died out [or burned out], but I do wonder what the point of calling yourself a Communist is now. I am concerned by the consequences of a Chinese economic collapse, and these concerns reach far beyond any short to medium term economic pain. I fear a worldwide economic slump prompted by the collapse of China and its supposedly free market will provoke a popular backlash against globalisation and the liberal market reforms carried out in the 80s in the most successful economies of the West. Capitalism and liberalism will be blamed if people create a nexus between China's collapse, its market reforms and its intertwining with the greater world economy...Policy reversals may follow and suddenly we're staring down the barrel of a neo-Keynesian revolution. Consider what the average person knows about China's economy. That's a good bet, but as any Daoist can tell you, it's one of those yin-and-yang developments. Libertarianism and command economics are both extreme positions. Neither ever entirely goes away, but their strongest manifestations are always ephemeral. The interesting question is whether the Next Socialism will greatly resemble the old one; or indeed, whether the Next Socialism will be a Left phenomenon at all. "Brothers and sisters; workmen and workwomen; peasants and [I don't know: peasantinas? ]": Spanish is a language where gender inclusivity really should not be an issue. Any movement that imports this associate-professor stutter is liable to meet the fate of liberation theology. Meanwhile, at the Conference of Catholic Bishops, they are debating a new English translation of the Latin Mass that Rome promulgated after the Second Vatican Council in the 1960s. The role of Latin the Catholic liturgy takes a little explanation. The Mass is rarely celebrated in Latin. When it is, it is usually the old Latin Mass that is celebrated, the one that prevailed until the Council. However, the original of the new Mass, the Novus Ordo, is also in Latin. That is the version from which translations are supposed to be made into the various living languages. One of the advantages to this system is that the conventions of translation from Latin to the modern languages are long-established and well-known. Translation from Latin to English is a no-brainer. With reference to the words of institution, 140 bishops said "I believe the best translation of 'pro multis' is 'for all'". In fact, of course, the only possible translation of "pro multis" is "for many." The Latin quotes the New Testament where Jesus says his blood "will be shed for many" for the forgiveness of sins. There is a theological reason for saying "for all." Catholic doctrine has it that Jesus did in principle die for all, though that does not mean all are necessarily saved. You can make that point with other scriptural citations. You can't make it here, though, and still call the result a translation. The discussion is now somewhat complicated as we all know. Instead of the two poles -- fidelity to the Latin or adaptation to the English -- there’s a third pole, and that is the pastoral concern. The people own the present translation, even though it may be deficient -- as some of us have said -- as ICEL itself has recognized when adopted a different way of going at it. But nonetheless it’s ours. And they possess that text in a dialogical worship service in a way they never possessed the Latin text. They got used to the Latin text, but it wasn’t theirs, it wasn’t their language, and it wasn’t -- you know -- so dialogical and shaped our worship in the way that the new Missal has. The congregation knew the old Mass as scraps of familiar phrases and in translation. They owned it, however, because the text was immemorial and unchangeable: certainly it was unchangeable by their local priest, as the new Mass too often has not proved to be. They owned it in much the way that Protestants owned the archaic modern English of the King James Bible. There is just not the same relationship to a vernacular liturgy. It is literature, and it belongs to its author. John mentions the Rosenbergs in passing here, citing a book by Ron Radosh. I knew that the Venona transcripts had decisively identified the Rosenbergs as Soviet spies in 1995, Radosh put the pieces together without classified information in 1983. Well done. 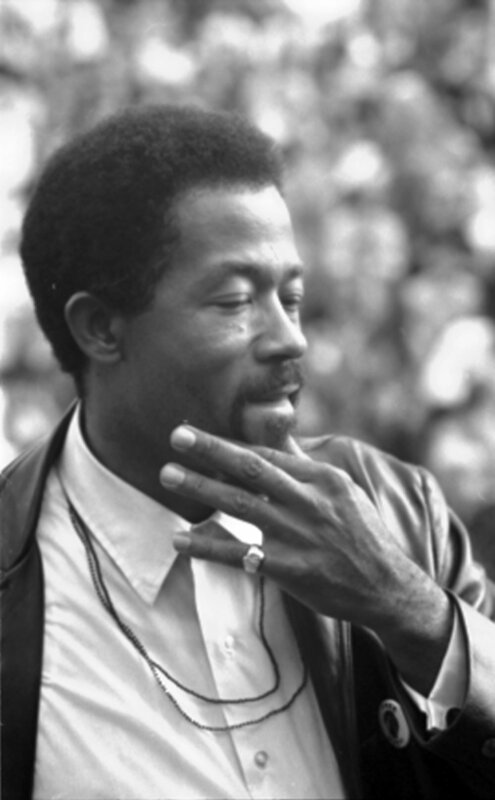 John also mentions other former Leftist radicals like Eldridge Cleaver, who eventually became a Mormon Republican. I kind of admire the way in which the Black Panther Party tried to suborn the Second Amendment in the name of racial justice. However, they turned out in retrospect to be pretty much the kind of people their enemies painted them as. It is possible that David Horowitz is wrong in believing himself to be "the most hated ex-radical of [his] generation." His sometime colleague, Ron Radosh, may have earned that distinction by proving beyond a reasonable doubt that the Rosenbergs were guilty (well, Julius anyway). Nevertheless, Horowitz is indeed the most prominent former polemicist for the New Left of the 1960s who not only had "second thoughts" in the 1970s, but who now champions what are usually characterized as conservative causes. It is quite a trip from his first major book, "The Free World Colossus" (1963), which made the revisionist interpretation of the origins of the Cold War respectable, to his current magazine, "Heterodoxy," which seeks to make life a misery for the radical faculty on university campuses. The tale of how this transformation took place is as gripping an autobiography as you could hope for from a man who has spent his working life filling up blank sheets of paper and attending editorial meetings. Still, at the end of the book, I found myself asking just how important the New Left really was. A "red diaper baby" is a person who was raised in a Communist family, particularly during the `40s and `50s, when the Communist Party USA was large enough to provide its members with a remarkably comprehensive subculture. David Horowitz was born in 1939 in a Communist colony in the New York City borough of Queens, so he was raised in that special world of leftist summer camps, folksingers who insisted they were 200% American and anodyne euphemisms designed to disguise from outsiders just what his family's political affiliations actually were. His parents' dedication to the cause was heroic. They followed the twists and turns of Soviet policy in the 1930s without a murmur. To the considerable aggravation of their non-Communist neighbors, in the 1940s they tried to stop the break-up of their cooperative housing development into private lots: the Communists insisted they had a right to pay rent. They even lost their jobs as public school teachers in the `50s. (They did get their pensions back after the loyalty legislation in question was declared unconstitutional.) Through all this, they never despaired of the Revolution, though they had little to do with the Party itself after the Khrushchev Report of 1956. American Communism, at any rate in New York City, was largely an activity of anti-religious Jews. Horowitz has a lively sense that people like his parents had, in effect, escaped from the protective ghettos of Eastern Europe only to construct an unnecessary ghetto in America, a ghetto that chiefly benefited the Georgian mountain bandit who ruled the Soviet Union during Horowitz's youth. (Even in Sunnyside, Queens, there were people peripherally involved in espionage for the Soviets.) One of the specific issues that made Horowitz break with the Left by 1980 was its increasing support for the destruction of Israel, a consideration that also motivated the more prominent neo-conservatives to change sides a few years before. More generally, though, he had come to accept the idea that Marxism for many Jewish radicals was essentially a sublimation of the desire to belong, since Marxism was an ideology that disposed of the question of ethnicity by dissolving it in millenarian universalism. His change of heart might be summed up as the realization that the species of universalism afforded by traditional American pluralism was about as good as anything history was likely to afford. The New Left began during the Kennedy Administration. Horowitz's own political life began in association with other red diaper babies in Berkeley, California, in the early 1960s, on a magazine called "Root and Branch." (Horowitz would actually miss several years of its development during a stay in England and Sweden from 1965 to 1968.) It was not simply an outgrowth of the Old Left. For one thing, it was never a creature of the orthodox Communist Party, which had become an anachronism by the end of the 1950s. For that matter, neither was it an enterprise predominantly of red diaper babies, Jewish or otherwise. The model New Leftist was perhaps Tom Hayden, principle author of the Port Huron Statement, whose background was neither Jewish nor Communist. The New Left was, however, remarkably anti-American right from the start. This antipathy extended to John Kennedy and all his works. One of the hypocrisies that Horowitz highlights in the memoirs of other New Leftists that have appeared in recent years is the pretense that their authors had begun as moderate Kennedy-worshippers who were driven mad by Kennedy's assassination and then by the war in Vietnam. This is simply a lie. The New Left was a Marxist revolutionary movement that looked for guidance to the Third World, or at any rate to the ideologues who affected to speak for that chimerical region. Its chief peculiarity, perhaps, was its tendency to racialize revolutionary praxis, to substitute ethnic tensions for class struggle. In its final form, at least as Horowitz encountered it, it hoped to foment a race war in which white radicals would act as a fifth column for a revolutionary army of color. By 1970, Horowitz's chief claim to eminence on the Left was as co-editor of Ramparts magazine with Peter Collier. Ramparts, based in San Francisco, was a politically engaged publication of the sort that was too pure to ever actually turn a profit. It depended on a series of financial angels and the fundraising skills of its managers. Collier and Horowitz took it over in a coup made possible by the fact that the angels of the East Coast could not be bothered to come to a board of directors meeting in San Francisco to discuss the latest financial crisis. Once in control, they attempted for a while to institute a regime of Maoist equality. Everyone got the same salary, all major decisions were made by collective agreement, even the names on the masthead were arranged alphabetically to avoid the taint of hierarchy. One thing that this experiment proved was that hierarchy is an instrument of kindness. Without it, every dispute must be personalized and decided in public. Ordinary staff meetings became day-long struggle-sessions that not only wasted time, but envenomed personal relations. And behind it all, of course, was the fact it was a fraud. Collier and Horowitz actually ran the magazine as long as they had the angels on their side. It followed the policy they set, and their most unfortunate policy was to promote the Black Panther Party as a revolutionary vanguard. The Black Panther Party was essentially a street gang that adopted fashionable revolutionary rhetoric. It had some success organizing nationally, though its base remained in the San Francisco Bay area. Even at the height of its leftist respectability, its leadership was prone to fission. Eldridge Cleaver went into exile in Algeria, claiming, with some reason, that Huey Newton was out to get him. Elaine Brown was both put into power and removed by Newton. Nevertheless, as far as the radicals at Ramparts were concerned, the Party could do no wrong. If a member was accused of killing a policeman, then obviously the Panther was as innocent as the Rosenbergs. If a Panther was in jail, he was a political prisoner. If the Party was accused of gangland slayings aimed at taking over the prostitution and drug trade in the Bay area, then the rumors were counterintelligence disinformation concocted by the federal government. When not directly supporting the Panthers, Ramparts delighted in publishing information about US intelligence activities. In one case, they publicized classified National Security Agency information that probably got agents in the field killed. In retrospect, Horowitz is ashamed of this, but he did not began to realize the gravity of what he was doing until someone he knew himself was killed. Horowitz had helped the Panthers organize a model school, and he sent a bookkeeper from Ramparts to help them straighten out the Party finances. Apparently she asked too many questions: in early 1975 her body was fished out of the water a few weeks after she failed to come home from Panther headquarters. The party blandly told her family that she had been dismissed. Within fairly short order, one of Horowitz's friend, a leftist attorney who had helped represent the Panthers, was shot and paralyzed in her home for refusing to sneak a gun to a "political prisoner." Another whose life's work was teaching youths with criminal records was killed by one of them. Rumors that the Panthers had a killing field in the Santa Cruz Mountains for the execution of their enemies, both political and criminal, turned out to be true. These facts were not exactly secrets on the Left. They were, however, unreportable by anyone who wished to avoid ostracism. The 1970s were good years for criminal cults, especially though not exclusively in California. The Panthers for a while became fixtures of Bay area electoral politics. Far from being the victims of police conspiracies, the police were afraid to touch them and had even been infiltrated by their supporters. The same was true of the Reverend Jim Jones's People's Temple, which at the end of the decade would become famous for organizing what remains the greatest mass suicide in modern history. The Students for a Democratic Society, for whom the Port Huron Statement had been written, had shrunk and hardened into the Weatherman. They conducted armed bank robberies and blew up buildings, often by accident with themselves inside. Some of their leaders expressed admiration for the remarkably deranged Charles Manson and his homicidal followers. For Horowitz, all this was a sharper lesson than the disillusionment his parents felt when Khrushchev revealed the nature of Stalin's regime. The Soviet Union was far away, after all, and the distortion of the Revolution there could be attributed to inessential historical "mistakes." This time, Horowitz knew the people involved. He also knew that they did not suffer from fear of foreign invasion or from primary poverty, factors that were often said to excuse revolutionaries in other parts of the world. As for events in the idealized Third World itself, these were the years when the victorious North Vietnamese was organizing a familiar Gulag system in the south of their reunited country, while the Khmer Rouge were doing something so strange and terrible to the people of Kampuchea that it even today it still seems like bad science fiction. Slowly, over a period of years, Horowitz acknowledged that these things were not accidents. The Panthers were not a corrupted Leninist vanguard; by world standards, they were typical. 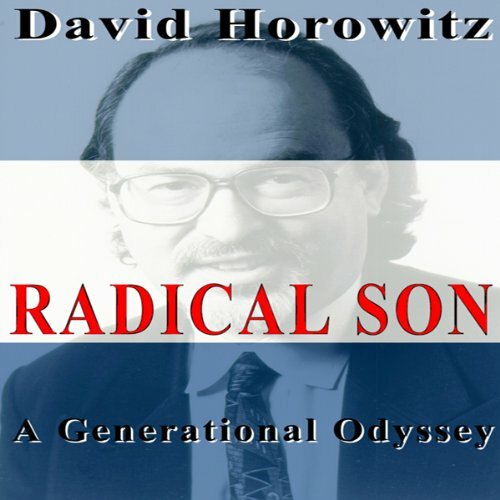 "Radical Son" is not exclusively a story of ideas, since Horowitz tries to weave the events of his personal life into the story of how his politics changed. He turned forty about the time he abandoned the Left, and the tale he tells of his mid-life crisis is singularly disedifying. Part of the problem was that just about then, for the first time in his life, he started to make serious amounts of money. Working with Peter Collier, he co-authored a series of highly regarded biographical studies of American "dynasties," notably of the Rockefellers and the Kennedys. Within a few years of souring on the Panthers, he had divorced his faithful wife, bought a sports car and taken up with ever younger women, two of whom he married, with results that even he seems to think served him right. For a while, he had enough money to spend on large houses and to consort with Hollywood-types and fashionable New Age people, at least until the divorce settlements caught up with him. He apologizes to everyone in the whole world for this behavior. By his account, he is again on good terms with his first wife and four kids, all things considered. Horowitz's emergence as a conservative did not happen all in a day, and in the early 1980s his leftist credentials were still good enough to get him a hearing. Working again with Collier, he produced one of the first studies of the politics of AIDS, back when it was still an unusual infection affecting a few thousand gay white men in San Francisco, Los Angeles and New York. What they discovered was another example of the lethal potential of New Left politics. By 1983, the scientists knew that AIDS was a blood-borne, sexually transmitted disease. The relevant public health officials knew it. Even the leaders of the various gay communities knew it. Nevertheless, the truth about AIDS was as unreportable as the truth about the Panthers had long been. Anyone who mentioned it in public was fairly certain to meet political ostracism, since homosexual activity had been defined as a civil right. Gay leaders long resisted, successfully, any attempts to close the bathhouses that were one of the chief venues of infection. Public authorities would not do the contact tracing that was normal with sexually transmitted diseases. When information was finally provided to the public, it falsely equated heterosexual transmission with homosexual transmission. Horowitz and Collier were among the first to say these things not just in public, but to a leftist audience. The fact that they were eventually proven right did nothing to repair their tarnished reputations. They continued to shed friends through the 1980s while writing their dynastic biographies. The process perhaps culminated in the publication of their joint memoir, "Destructive Generation: Second Thoughts about the `60s" (1989), which demolished what was left of the romanticized myth of the Panthers. Of course, they also acquired allies at the same time. There are still people on the Right that Horowitz cannot abide, but he soon discovered that William Buckley does not have horns. In 1991, Ronald Reagan even made a witticism to him at an awards ceremony: "I had second thoughts before you." The greatest surprise was how little institutional support conservatives actually had. The major foundations, Ford and Rockefeller and MacArthur, still support a slightly diluted version of the cultural agenda that the New Left enunciated in the 1960s. While there are smaller foundations to fund conservative think tanks and projects (Horowitz has a little foundation of his own, the Center for the Study of Popular Culture), the fact is that people like Horowitz are still swimming upstream in the major institutions of American life. The upshot is, as under his parents' roof, he can once again think of himself as countercultural. He appears to find this comforting. Perhaps the key to the assessment of the place of the New Left in American history is Horowitz's account of his return to Berkeley in January 1968, after having spent three years in Sweden and England. When he left, even the most radical radicals, even in California, wore ties and buttoned-down shirts to free speech demonstrations. When he got back, people were painting themselves funny colors and listening to music of a volume and description theretofore unencountered by human man. "Anything is possible," he thought in stunned amazement at a concert of electronic instruments. This may or may not have been true, but in any case the Left was deluded in thinking that it could take advantage of the situation. There is an old comedy routine dating from about that time in which President Johnson, dressed in pajamas, appears on television at 3:00 a.m. and announces to the startled viewers: "Good evening, my fellow Americans. This is your President speaking. I don't know what's happening. If any of you think that YOU know what's happening, please write the explanation down and mail it to me, Lyndon Johnson, 1600 Pennsylvania Avenue, Washington D.C. Good night and God bless." The problem with the Left, New and Old, was that they did think they knew what was happening. They were Marxists, after all, and Marxism was the key to history. The fact that no Marxist, anywhere, ever, had imagined anything like America in the 1960s was beside the point. Horowitz's parents had lived sober, careful lives, so that they could be models of socialist rectitude to the proletariat when Der Tag came. Horowitz's slightly younger radical contemporaries lived lives of promiscuity and impulse, because disorder conduced to a revolutionary situation. In both cases, they were simply exaggerating tendencies that were already present in American culture, tendencies which they did not foresee and could not control. They were as blindsided by history as ever Lenin was. Perhaps they added nothing really essential to those years. David Horowitz notes that there were two radical movements in America during the 1960s, though he was almost oblivious to the fact at the time. In addition to the New Left, there was the movement on the Right that succeeded in nominating Barry Goldwater for president in 1964. It, too, commanded youthful enthusiasm, and its supporters were the sort of people who were willing to make the "Long March through the institutions." Though long in eclipse, this radical movement is the one that seems to have the best chance of permanent success. There is a lot to be said for William Strauss and Neil Howe's hypothesis that the 1960s were simply another of the Great Awakenings that occur in American history every three generations or so. They begin as anarchic events but end up being profoundly conservative. Horowitz's memoir is evidence for this pattern. Still, even if this is true, the destructive element of the Awakening this time around did take the form of the New Left, and there is still a lot of damage to be fixed. The racialization of public life continues through most affirmative action programs, for instance. Even the goal of arbitrary "socialist legality" has achieved petty embodiments in infinitely flexible concepts like "sexual harassment" and "hate crimes." For that matter, it may be that the reflexive liberal opposition to strategic defenses owes something to the tradition of "defending socialism" by making the United States vulnerable. In recent years, David Horowitz had done useful work in combating these `60s leftovers, and sensible people can only wish him well.